Think New York for a second! Dimly lit hidden bar, with a beautiful selection of cocktails & wine, charming bar tenders and a communal wooden bar… the perfect scene to socialise, sip “look at moi” cocktails and do the whole “live in Aberdeen work in London” routine. So it’s a Sunday night and poor Travel Czar has been recovering from a cold :(! But he’s feeling better, so he decides to venture out for a night snack. 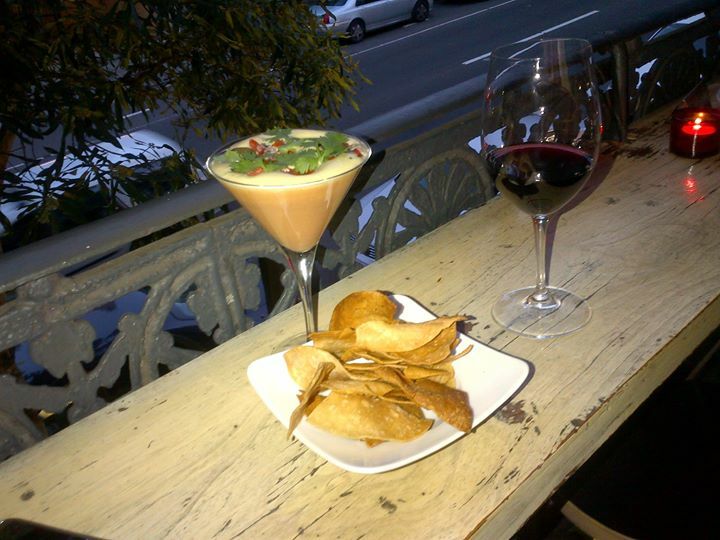 The perfect place for a quick bite with beautiful wine is the Owl House. Now this place has long been a favourite of the Travel Czar’s- it’s creative menu, which constantly changes, has amazed him for years. I’ll do a quick flashback later on in this piece to share some amazing cuisine I had at this place if you didn’t follow Travel Czar’s facebook blog. So I head into the bar and grab a seat… Amir (who is the best host) greets me and shows me the menu. I decide to go with a couple of small plates and some wine (Since am recovering from a cold I am told wine has antioxidants, so it’s good for you). I have a glass of Pull Cabernet Sauvignon, Merlot (2010) from Broken Earth Winery in Paso Robles (California) to kick-off the evening. It’s a perfect blend, with the lovely taste of cherries, smooth tannin structure and a little bite from the oak. It’s simply the best way to start the evening. I am feeling a little peckish, so I start with a light entree. 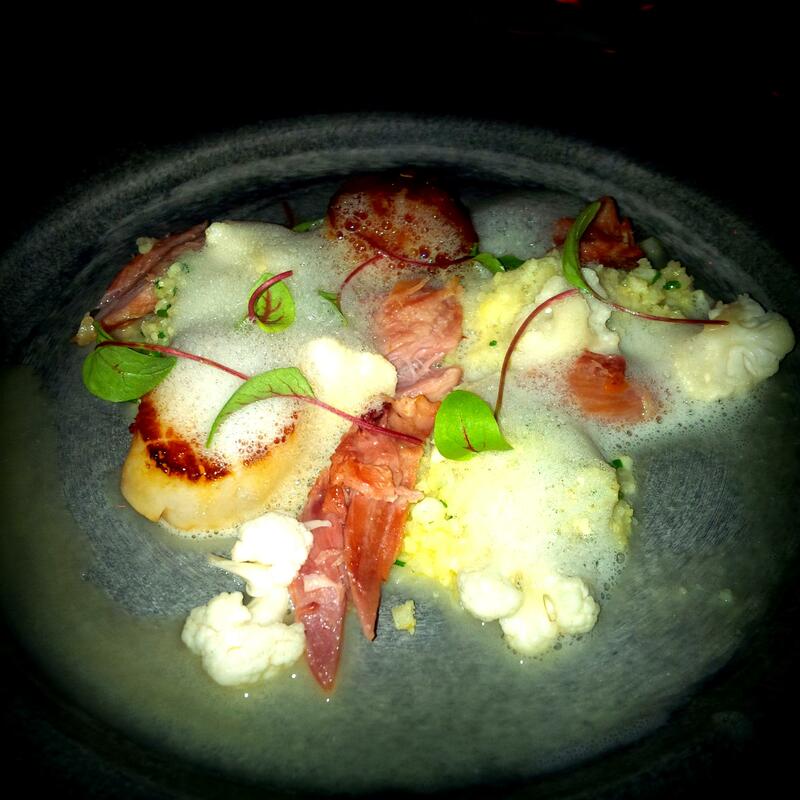 Scallops served on cauliflower “cous cous” with ham hock and pancetta. The scallops are beautiful, cooked to perfection with a soft tender texture, they just fall apart on the tongue. The cauliflower is amazing, adding some additional crunch to the dish to provide an array of textures. There is a light tang of vinegar in the sauce which balances the dish, while the ham hock also adds the right level of saltiness to the dish. The foam adds to the aesthetics of the dish and it’s amazing. It’s delightful – a balanced dish. I then decide to kick into gear with a different wine, the Vistalba C. Malbec Cabernet Sauvignon (2011) from Mendoza in Argentina. It’s beautiful, a full wine with juicy black fruit flavours, plenty of spice and herb hints to keep the tongue busy. It’s rich and it’s a lovely wine…perfect for a Sunday arvo. 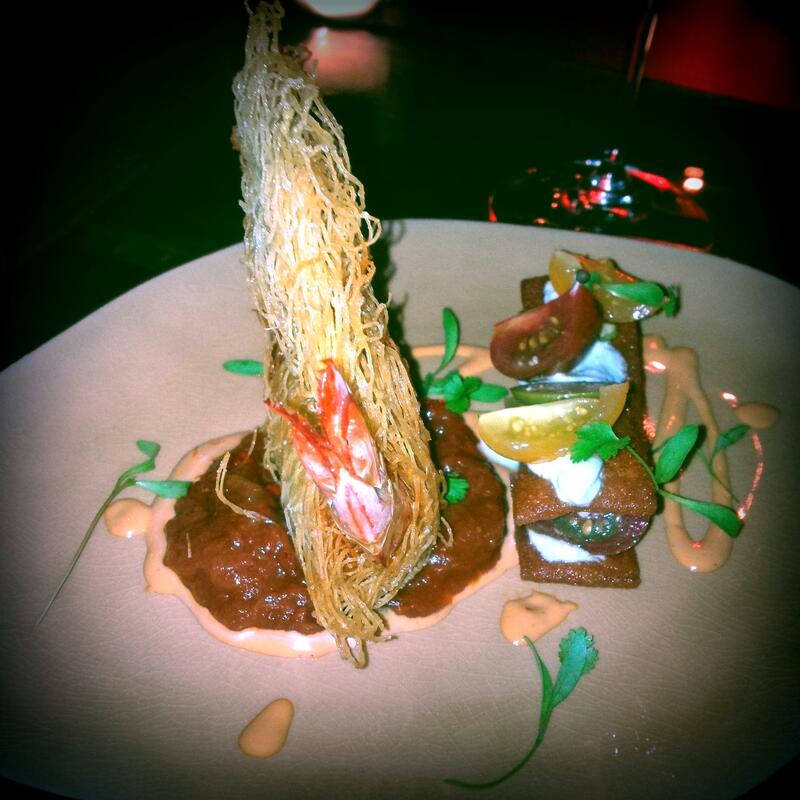 The next course is the Kadaifi prawn with chickpea “tuile”. Matbucha dip, heirloom tomatoes, caperberries and tomato vinaigrette. The kadaifi pastry wrapped prawn with an amazing array of swirls is something similar to a crown rather than a simple entree. If that wasn’t amazing enough, there is chickpeas tuile wafers with beautiful colourful tomatoes, a Matbucha dip, with dressing drizzled across the plate to complete the artwork. This dish is obviously not like a full degustation that “completes you” (read the last paragraph of my Eleven Madison Park review for that experience) it’s like a “first date” not a “marriage” if I could phrase it that way. When the dish is placed in front of you, the aesthetics and it’s beauty just takes your breath away… it’s like the moment you meet the girl with the cute black dress and her sailor girl shoes at a party. It’s love at first sight. 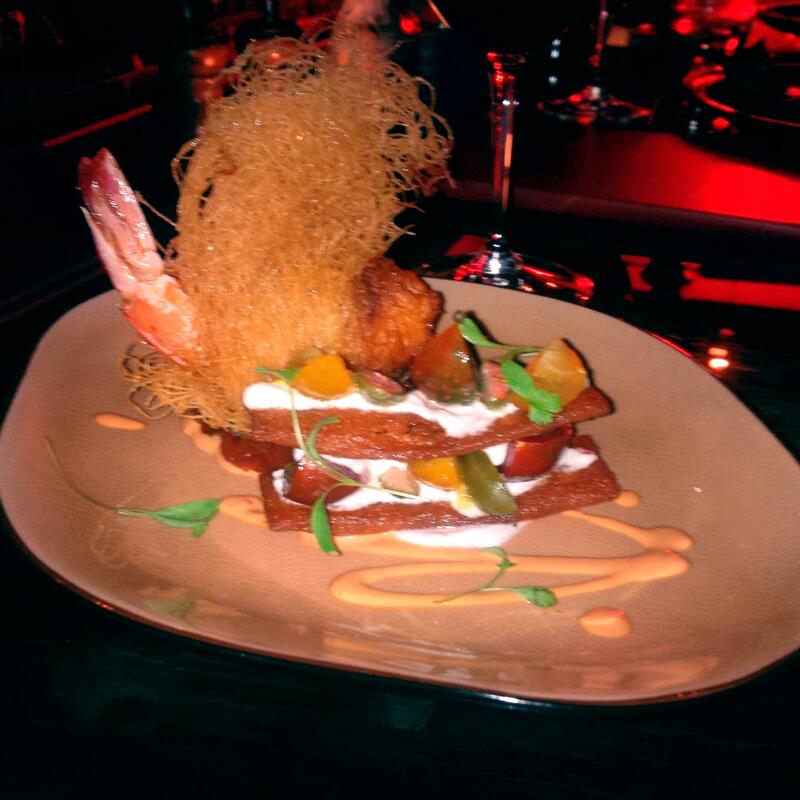 As your fork goes to disturb the beautiful culinary arrangement of the prawn and the tuile its a moment of curiosity and investigation. It’s like the moment when you’re sitting that girl in a bar and you gently part her fringe to plant a kiss on her forehead – you know the moment I’m talking about. As you start to taste the dish, you navigate the textures and flavours. You experience the crunchiness of the Kadaifi, the succulent prawn, the creamy matbucha dip. It’s heaven, it’s like the first kiss. You can’t forget it, but you can never recreate it. The juicy heirloom tomatoes with the crunch of the tuile and the light tang of the Matbucha dip, just adds to the experience. I can’t describe it, the prawn was amazing, but this is the icing on the cake. There is such an array of flavours in this one dish, it’s just so overwhelming. 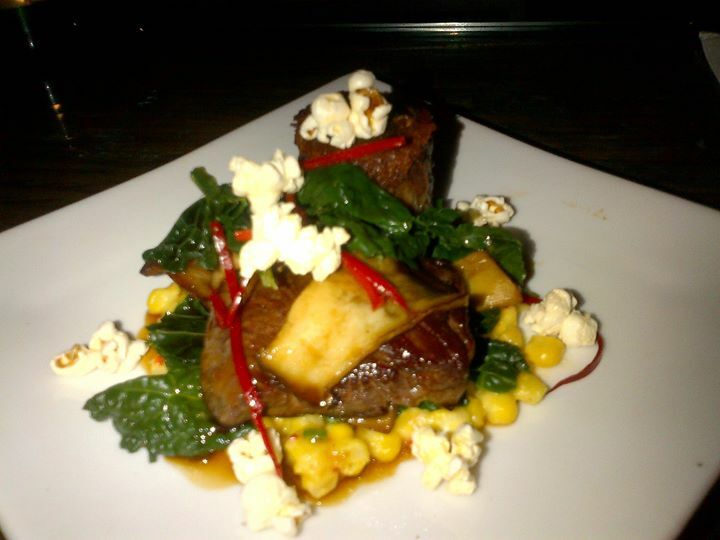 It’s a flurry of flavours, excitement, beauty, this dish is “the boss”. Just when I think nothing can possibly go wrong, I am staring at an empty plate… it’s finished, it’s sad… it’s over. I settle back in my seat, somewhat overwhelmed by the experience. 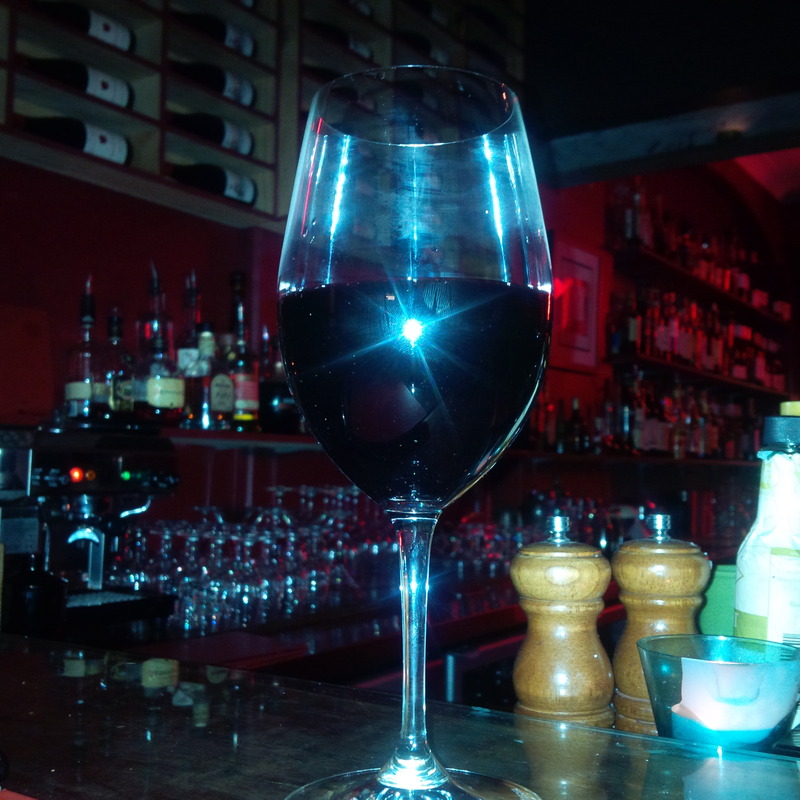 I order a beautiful glass of Vino Rosso Della Casa (2012) Merlot Sangiovese to finish the night! 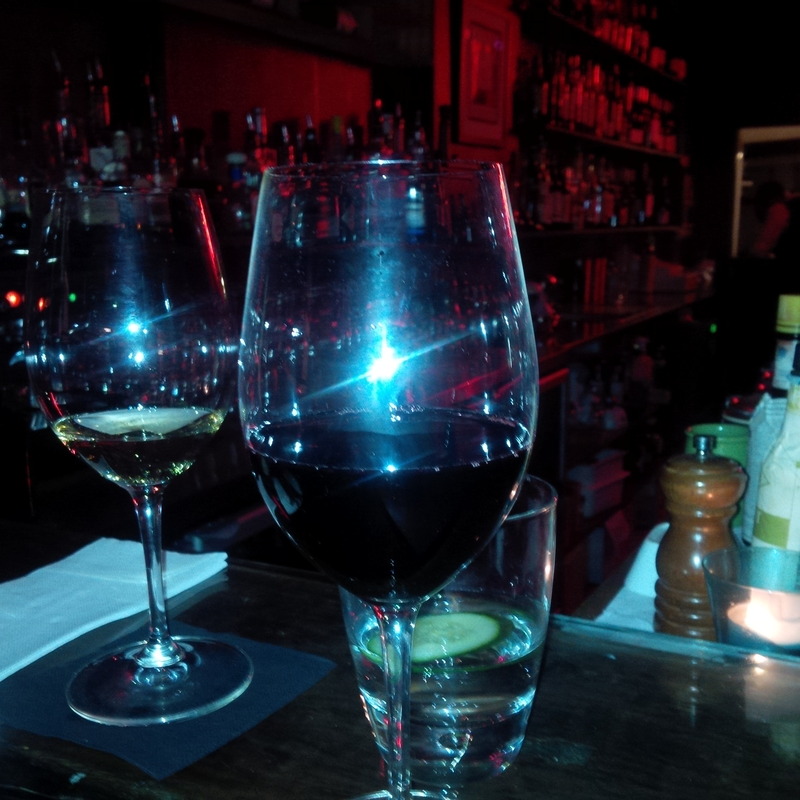 It’s an amazing bar, that does cocktails, creative food and a unique wine list… just love this place. Now Travel Czar has been going to Owl House for a while. They have a new menu four times a year and it’s always full of creativity, good produce and fantastic flavours. For those who have been unfortunate not to follow Travel Czar on facebook (before Life of a Travel Czar), there are some amazing dishes from the past which will give you a good idea on the creative talent at Owl House… each dish on the menu is a work of art. 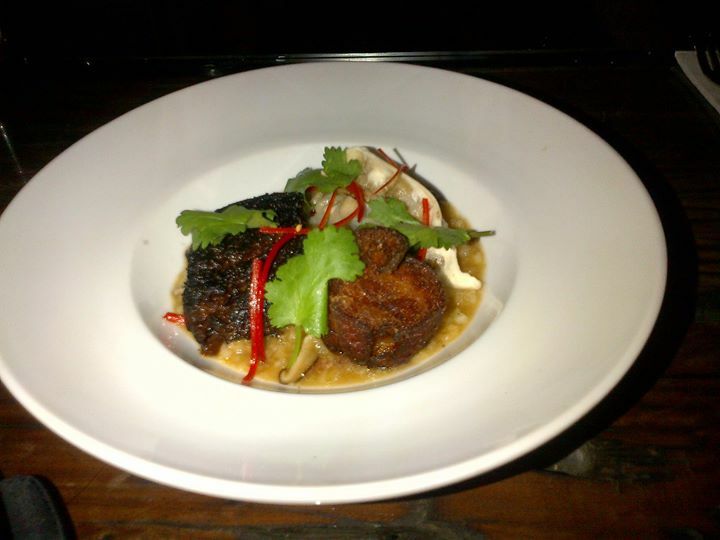 Quail dumpling, crispy pigs tail, black pudding and scallop congee, shitake mushrooms, corriander and chilli.